INSTANT DOWNLOAD CUSTOMIZABLE STRAW FLAGS! Party printables to make your own classy custom black straw flags for a birthday party, 1st birthday celebration, baby showers, wedding showers, weddings, or any special day! Add your own names and messages to your printable straw flags, in any color to match your party theme. And, use these pretty straw toppers for black cupcake toppers or cake toppers too! Use these designs for cake pop tags and party favor tags, like the rock candy favors we show here! If you want to make your own rock candy favor tags, follow our tutorial here! Easy DIY customization—simply click and type to add your own text. Simple instructions also included to change your text size, style, and color—make your type any color to match your own party theme. Or, print your customizable straw flag printables without messages to use plain, or to add handwritten type with chalk or calligraphy. 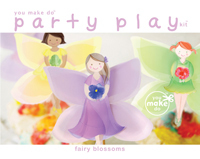 These party printables were illustrated and designed by a New York Times bestselling children's book illustrator. This party printable is an INSTANT DOWNLOAD! 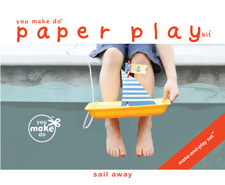 After receiving your order, a link to this You Make Do® pdf printable download will be automatically e-mailed to you on your receipt. Begin printing as many as you wish right away! These straw flags are 3.5" wide when folded around a straw (7" wide flat). 12 flags per page. Customizable in free Acrobat Reader. Children can even customize these straw flag printables for their own birthday parties! Visit our shop for banners and other party printables to coordinate with these straw topper printables and your celebration. See our links to some of our printables you could choose to go with your straw flags, below! You can change the text on your straw flags to ANY COLOR, so choose ANY of your favorite banners, party hats, customizable place cards, or other printables from this shop to go with the letter colors you decide to customize your flags with!